You probably don’t spend a whole lot of time contemplating the makeup of your front windshield. Chances are you only think about your vehicle’s front window if it’s broken, if an unfortunate pigeon has met his end against it, or if you’ve neglected to clean it for weeks and can now barely see through it. We’ve all been there. That poor pigeon never saw it coming. The truth is that your front windshield plays an important structural role in your car. The glass is specially made to withstand pressure and help maintain the structural integrity of your vehicle in the event of a crash or rollover. The strong resistant glass, however, was not always a reality. Early drivers would often be forced to wear eye protection, like goggles, to protect themselves because of a lack of fragility of their front glass. 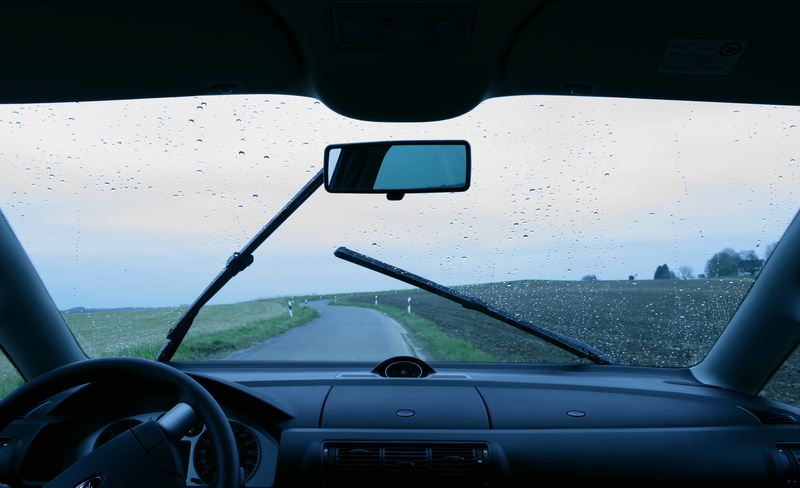 Early windshield wipers were introduced in 1916 and required the driver to use a crank to move them from side to side. Automatic wipers came along around the 1920s. It was clear early on that the front glass needed to be thicker and more resistant, so as not to shatter into a million pieces that could cut you open in the event of a collision or crash. It was around the year 1919 that Henry Ford started implementing early versions of windshield technology and placing a cellulose layer between two plates of glass. The layer would hold them together in case of impact. About fifteen years later the windshield was curved. This improved aerodynamics and helped the glass keep from breaking. In 1970, the government created the National Highway Traffic Safety Administration, which has since developed strict standards for automobile glass. This encouraged a quick development of stronger and safer glass. All auto glass manufacturers are now forced to meet these standards of transparency, mounting standards, and roof rigidity of vehicles. Your front windshield today is made out of safety glass and has a very precise installation process. They are made from a lamination process. Laminated glass offers the greatest amount of protection from shattering and it’s similar to the idea of the early windshields mentioned above. Laminated glass is two panes of glass separated by a layer of vinyl. When objects hit your windshield, typically it is the outer layer that suffers most of the damage. In extreme situations, like severe collisions, the glass won’t fly out in a million pieces because the layers will attach to the layer of vinyl in between. Your side windows are made out of tempered glass. This refers to glass that has been heated to above 1,100 degrees and then rapidly cooling it. This means that in case of a collision the glass will not shatter into sharp-edged pieces. Instead, it will break into small bead-like pieces that do not pose a great danger to passengers. Your automobile glass is manufactured to protect you. This is why it is not something to take lightly. Trust only the professionals with your safety glass. Installation is as important as the glass itself and a bad installation can also compromise the longevity and the safety of your windshield. Here at Complete Auto Glass, we will leave no detail unturned.